The Tennessee Scrap Recyclers Association plays an active roll in the State Legislature through promoting, policing and protecting the scrap industry in Tennessee. Since inception in 2007, the TSRA has been working hand in hand with law-makers to pass effective legislation that promotes scrap recycling while also enforcing scrap theft metal laws and policing our own industry. Built on a sound common sense approach, we try to educate recyclers and legislators to find common ground on topics that meet both of our objectives. The TSRA is constantly focused on improving the environment to recycle in Tennessee! Join today to be a part of a growing community of scrap dealers who are committed to making Tennessee one of the best states in the country for scrap recycling! In late 2006 and early 2007, several scrap recyclers in Tennessee saw the need to organize a state association to represent the best interests of the scrap recycling industry at the state legislature. Record high commodity prices fueled a national epidemic of copper and other metal theft. 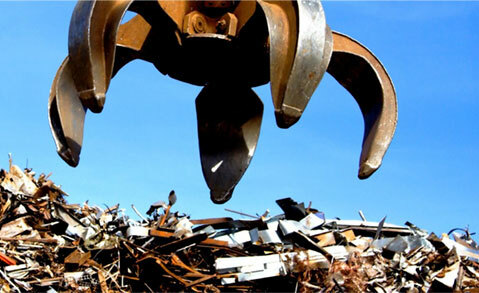 Many victim organizations and other stakeholders were convinced that the best way to slow this down was to pass onerous legislation at the local and state level to regulate the scrap metal recyclers. Much of this was done without the input of the industry, or with any proof that the regulations were actually effective at reducing metal theft. The association was incorporated in May of 2007 and the first meeting of the Tennessee Scrap Recycling Association was held on July 17th’2007. The initial incorporators were Don Denbo, Troy Blanton and Dominick Marchiedo. Steve Buttry and the Capital Strategy team have long been our lobbyist that keep the TSRA issues in front of lawmakers on a regular basis. TSRA is pleased to be affiliated with ISRI Southeast Chapter! The purpose of the organization involves educating the legislators, law enforcement and other stakeholders that the industry is not to blame for the metal theft problem, and as a major stakeholder, can play an important part of the solution to reducing metal theft through cooperative efforts with other stakeholders and policy makers. The purpose of the organization involves educating the legislators, law enforcement and other stakeholders that the industry is not to blame for the metal theft problem, and as a major stakeholder, can play an important part of the solution to reducing metal theft through cooperative efforts with other stakeholders and policy makers. Design by @knoxweb | Copyright © 2019 Tenessee Scrap Recyclers. All Rights Reserved.